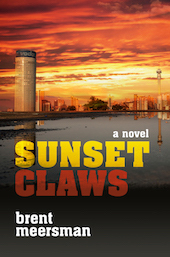 Sunset Claws follows a generation of South Africans from 1976 to the millennium as they struggle to come to terms with what the birth of a nation has both given and taken from them. Told in three parts, the action moves from Cape Town in the turbulent 1980s to the civil war in KwaZulu-Natal in the interregnum of the early 90s and finally to burgeoning post-apartheid Johannesburg, where an optimistic new middle class is being forged as the country enters the 21st century. But the cracks in reconciliation are already beginning to show. The story starts in 1968, when Mfundi, a township teenager, sets off to join Umkhonto we Sizwe, later to return on a deadly mission that will have unforeseen repercussions. Two brothers from a poor white family choose very different paths – Frans joins the military and is slowly sucked into the darkest corners of the apartheid security forces, while Joe dodges the draft and flees to London in the hope of becoming an artist and escaping his unwanted destiny. Zukiswa, a young black woman battling to advance herself in the shacklands, will also go into exile and return to her native land almost a stranger. Bertie is the rich white kid who rebels against his conservative parents to become a human rights lawyer, a journey that will shake his idealistic beliefs to the core. Unexpected connections between them will set them on a collision course of war, romance, love and hate. The story sheds light on the current state of the nation, painting a vivid yet subtle portrait of the nascent “New South Africa” with all its contradictions as its characters traverse the pivotal events that shaped a generation – from the Battle of Cuito Cuanavale to the killing fields of KwaZulu-Natal; from the release of Nelson Mandela and the first democratic election to the Truth and Reconciliation Commission, the writing of the new Constitution and the first steps to black economic empowerment.